Henry J. Cieplinski Funeral Home is situated close to I-95 and the Theater of the Living Arts, providing a personalized funeral service to the communities of Queen Village and Pennsport in South Philadelphia. 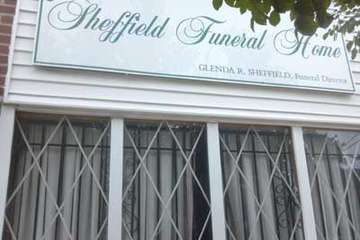 The funeral home is located within a 10 mile drive of two cemeteries. Although no direct burial is offered, traditional funerals with graveside ceremony, cremation with service and direct cremation without memorial service are provided. The funeral home occupies an attractive historic building that greets visitors with a brown-brick facade and friendly white awnings. A chapel area, visitation and casket room offer small and medium-sized family gatherings comfortable and tastefully decorated surroundings during services. Established in 1947, the family-owned and operated business is today run by funeral director Henry J. Cieplinski, who is assisted by a small team of professional, compassionate and dedicated staff. Henry J. Cieplinski Funeral Home allows families to select a personalized ceremony and service as a fitting tribute to celebrate their loved one's life. The prices below are based on the General Price List for Cieplinski Funeral Home. However, funeral homes sometimes have special pricing packages available, and you should ask if those are available. Please let the funeral director know that you found Cieplinski Funeral Home on Parting.com to allow us to continue helping families like yours. The funeral directors at Cieplinski Funeral Home are available to provide you with expert advice.